Debra met Katie while filming a documentary called “Mama’s Magic”. 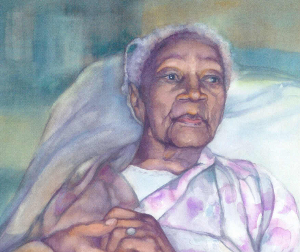 This film featured Katie’s granddaughter, the remarkable poet Glenis Redmond. 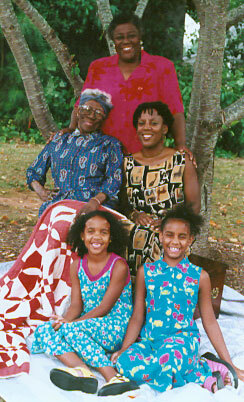 Glenis, her twin daughters Amber and Celeste (who nicknamed her grandmother “Great Katie”) and her mother, father and niece were all present and involved in the production. rest in a blueness not here on earth. and drew every stray cat in the county. fished in her spare time. but never made it to that one-room schoolhouse. a candle lit by the Almighty. When I am wise I sit there and study her blue flame. until it fell like withered dreams beneath her feet. never been particular about the new. It is why I gave birth to two incredibly old women. I called them the Delaney sisters. It is their spirit not their age. but is there anybody living who would want to walk in her shoes? any respite they might bring. fight, do battle no more. Lay it all down by the riverside. with a fire, a rage burning bright. she won’t let no white hand touch her. 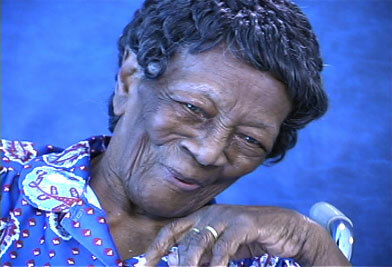 101 years of living in the south. 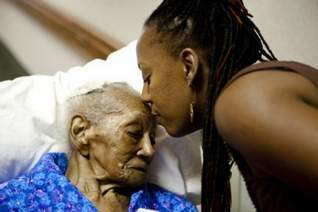 lasting 101 years of living. We gonna look around pretend she not there? of having no monuments erected in her name? The only thing resurrected daily was the struggle and the fight. What we gonna say to all those years of living? with more than our ears. you’d think she invented the color. rising from the soil she tended. never picked up a weapon. Till it didn’t come ’round no more. Who can be mad at a woman? Who stayed at the table so long? To feed us fruit from her faithful hands. Didn’t she talk to you? Listen and wait on the Lord. The hardy last the blessed do too. Do not mistake meek for weak. Go with the countenance of fire. at the center of our hearths. Or was it Guiding Light? You out classed the world. Thy Good and Faithful Servant, job well done”.